Frank Mofford is a Catawba County native. He graduated from Lenoir-Rhyne College and has completed additional graduate work at Appalachian State University. He has published work in both Our State and Blue Ridge magazines. Frank is a winner of the Southern Novello Award for Fiction and his work has been presented on National Public Radio. His greatest claim to baseball fame is being escorted out of Fulton County Stadium in Atlanta during the 1972 All-Star Game for masquerading as an Associated Press photographer but not before he was able to shake hands with his idol Brooks Robinson. A winner of the Jim Harrison Award for contributions to baseball literature, Tim Peeler has published four books of poetry, two regional baseball histories, and along with Carter Monroe and Robert Canipe, a book of short fiction and essays. His poems have been anthologized by Time/Life Books and have been used in an HBO documentary. 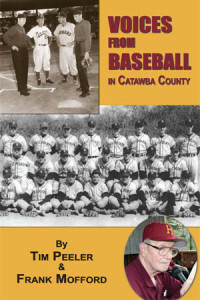 This is his second book about Catawba County baseball. In November of 2004, I spent three hours in line waiting to vote in the presidential election. The line wound all the way around a local rural church and its adjacent buildings. What made that wait tolerable, however, was a conversation with the next man in line. 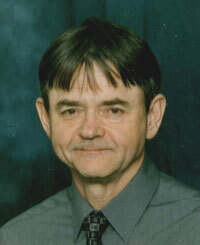 He had worked for over twenty years at Century Furniture with Tracey Hitchner. We shared Hitchner stories. This man knew the outlaw ball player as an older gentleman, a friendly office worker who had built a business career on years of loyalty to the company president. Here was yet another example of how indelible a mark this New Jersey farm boy had left in Catawba County. Almost sixty years after his playing days ended, Hitchner is still the stuff of local legend. Nearly anyone who followed baseball in Hickory, NC, from 1936-46 will produce memories of the fire balling pitcher. Hitchner had signed to play ball for Albany in the International League in 1935. After a mediocre first year, he was not impressed with the amount offered by the club in 1936. Instead of signing he returned to his family farm in New Jersey. It was there that he received a phone call and an offer to play ball and work in Hickory, North Carolina, in the new independent Carolina League. Hitchner arrived at night and thought he had reached the end of the world. He was not impressed with the facilities but was impressed with the caliber of baseball being played. In what was certainly a hitters’ league, Hitchner became the top hurler. Final records are not available for that season, but the local newspaper credits Hitchner with 21 wins. Hitchner played two more successful seasons for the Rebels, one under a fake name. In 1937 the National Association of Professional Baseball Leagues declared the league to be an outlaw organization and produced a list of banned players. Hitchner suffered more than any other player as a result of this action. While most of the participants had their eligibility restored, he remained a banned player for ten years. It was only through the efforts of the ever-affable Sammy Bell in 1947 that Hitchner was allowed to return briefly to the organized game. Since he was not allowed to play during his peak years, we will never know how fine a pitcher he might have become. Tracey Hitchner married and remained at the end of the world for the rest of his days. “I was with Albany in the International League in 1935. I didn’t sign a contract in 1936. They wanted to cut my salary, and I wouldn’t accept it. It was the depression, you know. So they suspended me, but after the season started, they sent a scout down home-it was a Washington scout. I can’t remember his name. Anyway, he said they would pay me the same as in 1935 if I would report back. I told him I would accept it. So they sent me to Harrisburg, PA, for two weeks to get in shape, and then they took me back up to Albany, and when I got to Albany, they had one of the worst looking ball clubs I ever saw in my life. So I just told ’em I had a sore arm, just give me my release, I’m going home. They said, no, we’re not going to do that, so they wanted to send me to Danville, VA, in a Class D League. I told ’em I wasn’t a Class D ball player, and I wasn’t going down there, so I tore the transfer up and threw it in the waste basket and told ’em I’d be on the family farm in New Jersey. So I went home to the farm. “One day I was planting potatoes, and this fellow called from Hickory, NC. His name was Ab Lutz. I asked him how in the world did you get my name? He said his manager, Stumpy Culbreth got it from a man named Brown that was my roommate in Albany, NY. “I said, ‘Well, what do you pay down there?’ He was going to pay me more money than I was making in Albany in the International League. I told him if he would send me transportation from Philadelphia to Hickory and from Hickory back to Philadelphia I’ll come down there and see if I like it. Note: Hitchner, when questioned about how much he was offered, said he wouldn’t say, but it was more than Albany’s offer. “I said, ‘If you’re looking for a ball player, it might be me.’ So he got me and took me to a boarding house, and he said he was supposed to take me out to the ball park later. “I said, ‘Gimme the ball, and we ended up winning 5 to 4 or 5 to 3. That was the first night I was here. I also found out that there were some pretty good ball players in the league, even if the ball park didn’t look so hot. “It was some time in June when I came down here, but I won 18 ball games the rest of the summer and lost about 5. That year we played about a hundred game schedule, and we won 48 and we lost 49, I won 18 of those after missing over a month of the season. I was named to the league all-star team. I pitched about every second or third day and never had a sore arm. I was in good shape. For a little man, I could throw that ball through a brick wall. I had a good curve ball too. I threw it off the end of my fingers. “The next season I changed my name. I knew a lot of the ball players down here that had changed their name, and I knew ’em by their right name. I remember one was Palmisano, Joe Palmisano, that caught for the Philadelphia Athletics a few years earlier. He played under the name Palm. And then there was Bill Steinecke that played under Bill Seph and then Steinecke in Concord. “I played under the name of John Davis in ’37. They caught me at the end of the ’36 season, and I got a letter from that damn Judge Branham saying I was suspended. Note: On January 4, 1937, the National Association of Professional Baseball Leagues announced that they had black listed 27 players from the Carolina League because they had played in the outlaw league in 1936 while under contract to organized professional teams. The Hickory Rebels players included Hitchner, Russ Yeargren, and E.J. Porter.